Many residents begin their careers with a dream of a small town rural practice, but often their vision fades in the urban and large hospital dominated training programs. 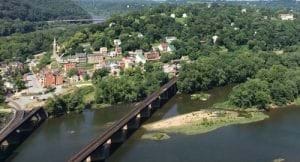 The WVU Rural Family Medicine Residency at Harpers Ferry, West Virginia is specially designed to nurture and educate residents in the unique rural setting of the eastern panhandle of West Virginia. WVU’s Rural Family Medicine program was initially created as a 1-2 program, with the internship year at a tertiary care center and the remaining two years in a rural practice environment. The dramatic success and growth of the program has led to the evolution of a rural residency with all three years of training based in the eastern panhandle of West Virginia. This flagship residency program for the Health Sciences Center- Eastern Division is ACGME approved and a contributor to WVU’s nationally recognized innovative efforts in rural medical education. The success of the residency program is demonstrated by a high percentage of our graduates placing in rural practice locations, small hospitals and underserved communities immediately following residency. Our program is designed to provide you with the experiences that will give you the training, experience and confidence to perform all aspects of family medicine. Whether your dream is a small town family practice or serving in an underserved community, spend these vital years of your education in a quality rural residency program!